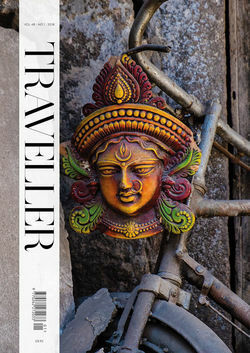 India's hill stations offer a fascinating respite from the height of the plains and a unique window onto colonial life. Shimla was once the summer capital of the British Raj and the town retains and English feel. The best way to reach the city is via the scenic, narrow-guage Toy Train. The Victorian holiday resort of Darjeeling is a major tea growing area with a considerable Tibetan presence. This luxury holiday takes in the colonial gems of Kolkata followed by the beautiful hill stations of India's eastern Himalayas, from the monasteries of Sikkim to Darjeeling, where you'll learn about the art of tea production. Situated at 8,250 feet in the magnificent Himalayas, Wildflower Hall is a fairytale luxury resort set in 22 acres of virgin woods of pine and cedar. The former residence of Lord Kitchener, rebuilt to a new magnificence, Wildflower Hall recreates the grand style of the colonial era. Shimla is the capital of the northern mountainous state of Himachal Pradesh and India's largest and best hill station. The Victorian holiday resort of Darjeeling is a premier hill station and a major tea-growing centre in the north of West Bengal state, near Sikkim. Vast jungles and sprawling tea plantations cover the hills surrounding Munnar, in the Western Ghats region.